Saturday, June 16 5:00 p.m.
Want to cool off this Summer? 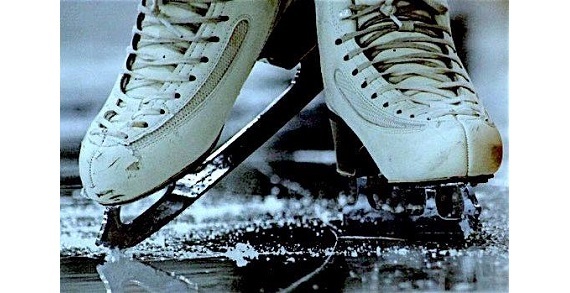 Check out Skate It Forward, an exciting ice skating show in downtown Columbus, benefiting the Ronald McDonald House Charities of Central Ohio. Join 2014 Olympic Bronze medalist and emcee Gracie Gold in welcoming Team USA figure skaters, including Olympians, world team members, and national champions, onto the ice. They, along with dedicated local figure skaters of all ages, will share their love of the ice in support of families seeking care through RMHC. 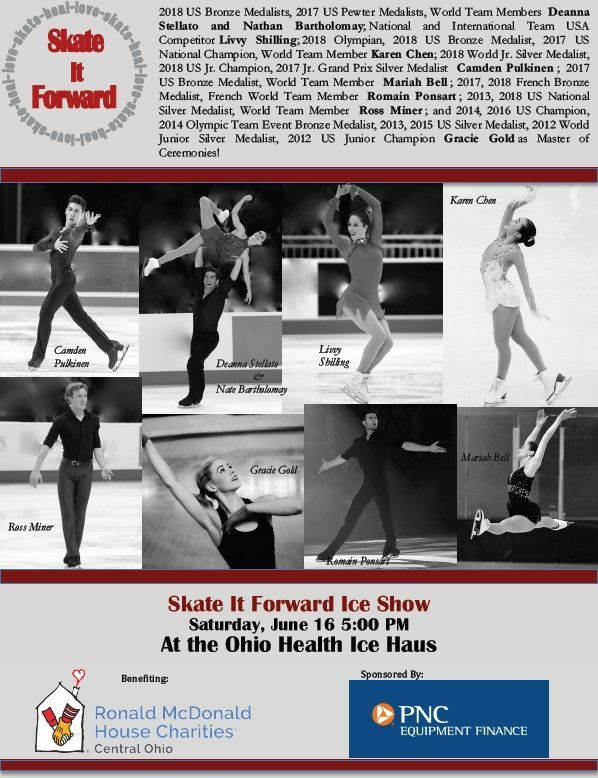 The star-studded cast includes, 2018 Olympian Karen Chen; world team member Mariah Bell; French world team member Romain Ponsart; world team members pairs skaters Nathan Bartholomay (2014 Olympian) & Deanna Stellato; national silver medalist Ross Miner, world junior member Camden Pulkinen; and national/international competitor Ohio’s own Livvy Shilling. Ticket info at skateitforward.co. Enjoy an entertaining, fun filled show for adults and children of all ages while supporting RMHC!